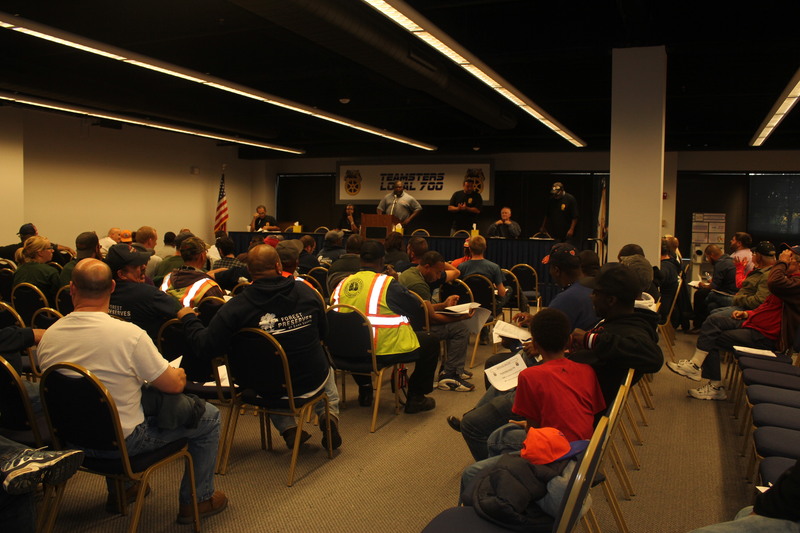 On Oct. 14, more than 100 members of the Forest Preserve District of Cook County came to Local 700 to vote on their new contract proposal. The contract was overwhelmingly ratified with an 8-1-margin vote. Included in the new contract is a signing bonus of $500 for employees with 10 or more years of service, and $300 for employees who have less than 10 years of service. Employees should expect to receive their bonus within the next full pay period. As part of the new agreement, laborers operating with a commercial driver’s license will receive service man pay, which is a substantial increase over prior wages. Among other gained benefits, the “Me Too” clause language was also included in the collective bargaining agreement. Negotiations for the new contract began nearly two years ago in December of 2013. Local 700 commends the work of the stewards who formed as a bargaining committee: Diane Drew, Sam Richardson, Barry Nelson, Tom Longo and Sam Badillo. We would also like to recognize all of the Forest Preserve members for their patience and those that participated in contract meetings. “The bargaining committee did an outstanding job negotiating on behalf of the membership, and we are confident that we have secured the strongest contract possible for our hardworking members,” said Business Agent Ramon Williams. The Forest Preserve bargaining unit will also have the opportunity to appoint a Chief Steward to strengthen communication between the members and the union. Teamsters Local 700 represents more than 10,000 public employees throughout metropolitan Chicago and the State of Illinois, including more than 200 Cook County Forest Preserve workers.